In a step which may trigger an intense political debate, the Modi government has asked the Law Commission to “examine” the issue of implementing the controversial Uniform Civil Code “in detail and submit a report”. The commission, at present headed by retired Supreme Court judge Balbir Singh Chauhan is expected to submit the report after holding wide-ranging discussions with all the stakeholders. Article 44 of the Indian Constitution sets implementation of the code as a duty of the state. UCC will set common personal laws for all citizens, irrespective of the religion, setting aside the current form of different set of personal laws for different communities. There are different personal laws for Hindus and Muslims which cover property, marriage and divorce, inheritance and succession. 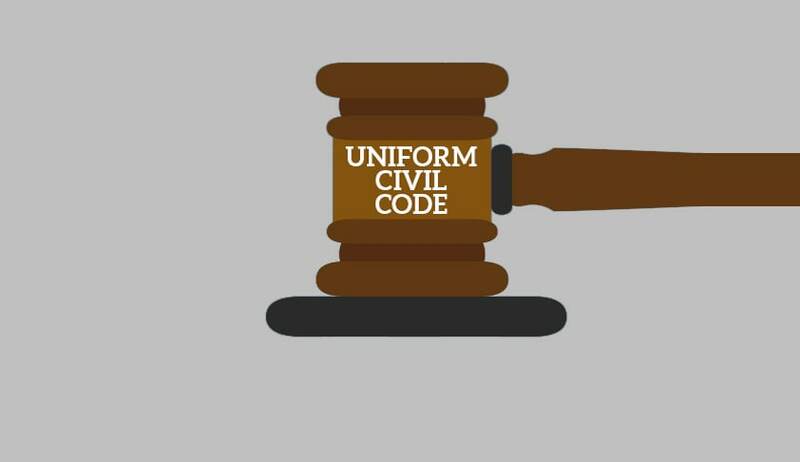 It is to be noted that the Supreme Court had on October 13 asked the government to clarify whether there is any definite move to usher in the Uniform Civil Code as there was “total confusion” in the country due to various personal laws governing religious practices. On October 27, another bench had directed a suo motu PIL to be filed in the Supreme Court to re-examine the issue of “gender discrimination” suffered by Muslim women in the country. In its judgment, the bench said that it is time for the apex court to settle once and for all whether the Islamic personal law violated the fundamental rights of Muslim women. But in an apparent softening of its stance, the Supreme Court on December 7 refused to entertain a PIL for a direction to Parliament to enact the Uniform Civil Code. The prospect was raised to put an end to “discrimination” faced by Muslim women, but the court said it had no authority to issue such an order. “How can a mandamus [a court order] be issued on such an issue? Constitutional goal is one thing, and possibility of them being fulfilled is yet another thing. These are the things in realm of Parliament and the Supreme Court cannot do anything,” a bench headed by Chief Justice T S Thakur had told senior advocate Gopal Subramaniam. Subramaniam was representing Ashwini Kumar Upadhyay, who is a lawyer and BJP activist. “Let people aggrieved in a community come to this court alleging discrimination. Has anybody come forward? What cannot be done directly, you are trying to do indirectly... We cannot ask Parliament to bring the common civil code,” the court had said. “We had made our stand clear in a judgment in 1994,” the court added. “If you file such petitions without examining the legal position and earlier judgments, we are going to come down heavily on it,” the CJI warned the petitioner and Subramaniam. The bench said that 21 years ago the apex court had declined to go into the issue of common civil code, and the position has not changed.